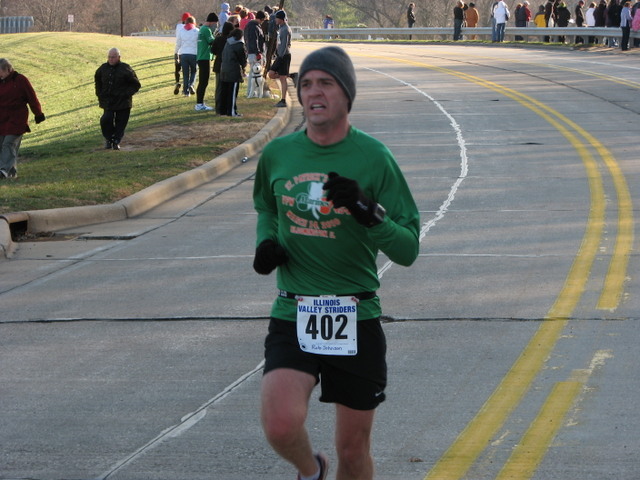 Another very chilly race, but with the 2010 racing season about over at least it’s another chance to get out there. This course is a gradual downhill for the first three miles making it a lot of fun to race. I would have preferred to not have run into a chilly headwind, but hey that’s what we got. I held 2nd female position until around 2.5 Miles. A really nice lady eventually passed me and I couldn’t hold onto her. I just did my best to not let her get too far away. There is always hope that maybe she over estimated her efforts and I could pass her closer to the finish, but no luck she had it, making me 3rd Female Overall and 1st in my Age Group with a 26:16. Which is a new PR, thank you downhill running, I’ll take it today! Rob got a 25:06 that was a PR for him and 4th in his Age Group! 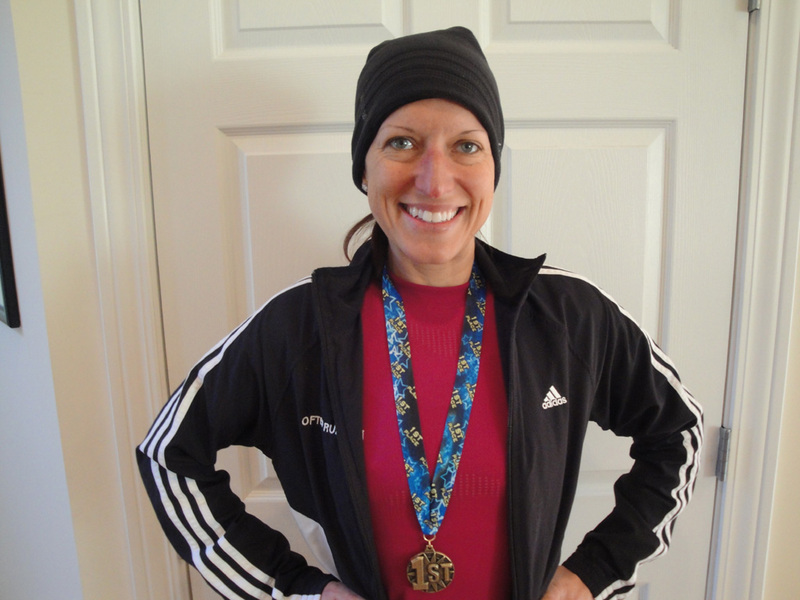 I quickly threw on some layers and cheered in the other runners before heading in to thaw out. After awards we realized we forgot the camera so I got a picture with my medal at home. 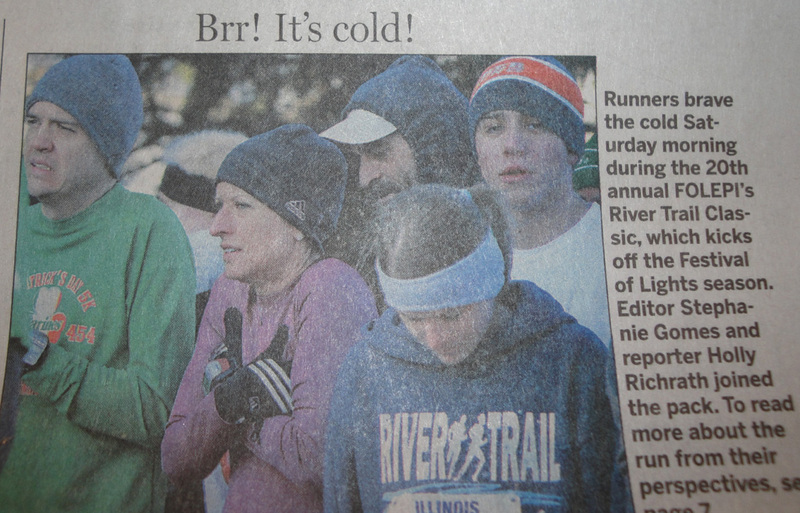 Update: We made one of the local papers, a lovely pic of us freezing our butts off. Wahooooo!!! Faster and faster!!! 🙂 way to go!! !